Smart advertisers want unique, fraud free, viewable inventory that drives engagement and performance across all screens. Lucky for you, when you partner with us you gain access to one of the fastest growing video supply sources, cutting-edge brand safety technology and a team of experts that you’ll love working with. Quality Inventory. Partnership Approach. Happy Advertisers. 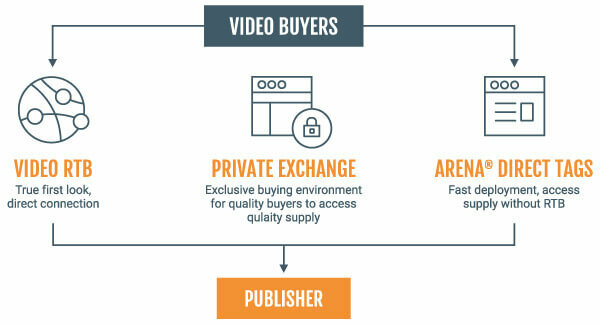 We are rapidly increasing our publisher connections and available video supply, with a focus on direct and large player inventory. Unique video ad units, including Altitude ALIGN and Altitude Outstream, give demand partners access to one of the fastest growing sources of video inventory on the internet. 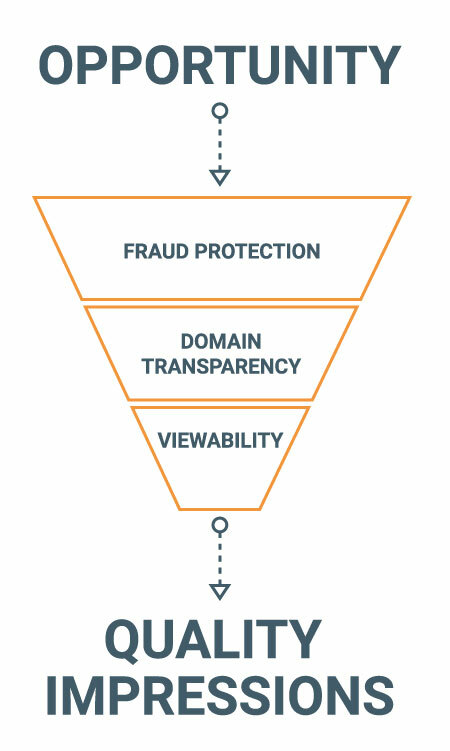 Our first-of-its-kind fraud detection technology is built on Integral Ad Science’s Quality Engine, filtering non-human traffic (NHT) on a pre-opportunity basis before it ever reaches our demand partners. Rigorous publisher screenings and a dedicated quality assurance team lets you rest easy knowing that your ads will only appear on quality websites and be seen by human beings. True URL reporting identifies potentially fraudulent domains or suspicious traffic to give advertisers peace of mind that they are buying quality inventory. With 3rd party integrations for post campaign viewability reporting, you will know when your ads are being seen. We have joined IAB and other leading technology companies to exceed industry benchmarks on viewability standards and engagement. Through the most trusted technology partners with both pre and post bid analytics, advertisers can rest assured that their ads make an impression. We’ve coupled premium supply with premium service from our dedicated demand team—nearly all of which came from the buy-side with experience from industry pioneers. They understand what matters to advertisers and work tirelessly to make sure campaigns hum. Our consultative approach helps buyers seamlessly integrate with our platform and access the right publishers and audience for any campaign. Connect directly through the Altitude RTB exchange to access quality video inventory at scale and optimize with data-rich insights. Our publisher focused technology and sales means that we are adding new supply everyday. Cut through the noise and reach your target audience through our Private Marketplaces. Our PMPs give buyers a first look at billions of monthly desktop and mobile video impressions, allowing access to our high-quality inventory at competitive rates. Deploy your display and mobile campaigns seamlessly using our tag-based demand. Work with one of the fastest growing video marketplaces and unlock quality programmatic inventory through 1Digital.